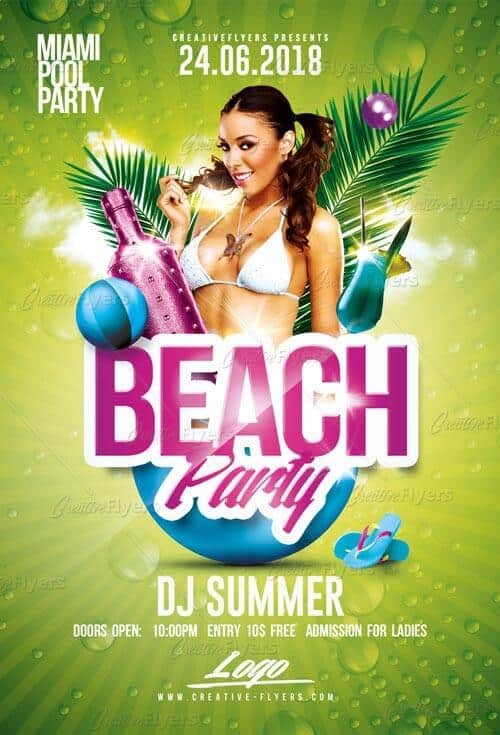 Beach Party Psd is a perfect Photoshop template for any summer event. Party on the beach, club party, outdoor event, beach club, pool party, tropical party or any other summer festival. Save time and create a personalized design with your own text!, images and colors. If you liked this style, enjoy downloading this Summer flyer, a first-rate design by Creative Flyers perfect to promote your Summer Party ! Moreover, this Beach Party Flyer templates is a creative design for beginner or professional designers to promote their event communication services. Note: As specified in the description all our Free Flyer Templates & Premium templates Psd will work with Adobe Photoshop . New Items are added frequently and please be sure to visit us for new updates… I wish you success !